School is a story about friendship, love, and power–and how the influence of all three can change who we are. Lucas and Jake are lifetime best friends who live in rural Wilson, North Carolina. When the county school board is pressured to realign school districts, their mothers decide to send Lucas and Jake to the local private school. Once there, Lucas’ economic mind realizes that he can build an empire. He assembles a crew, and they quickly become the guys who can get people whatever they want: whether it is drugs or the answers to their Chemistry quizzes. As the market increases, so do the stakes, as Lucas and his friends find themselves in a battlefield surrounded by cheerleaders, fraternity thugs from nearby colleges, even the school’s police officer and the head principal. School provides the storytelling of a young protagonist trying to figure out what is truly valuable in a place where every word and action is not only significant, but magnified: school. Hunter Gardner was born in Darlington, SC and grew up in Winston-Salem, NC–a place he describes as happy and sunny, but with all the trappings of subtle social politics, which inspired many characters, setting, and situations in this novel. School was written over the course of two years while living in Raleigh, NC, thanks to a lot of free time, coffee, and enough unique life experience to have something to say. Hunter currently resides in Charleston, SC. I am looking forward to reading this book! 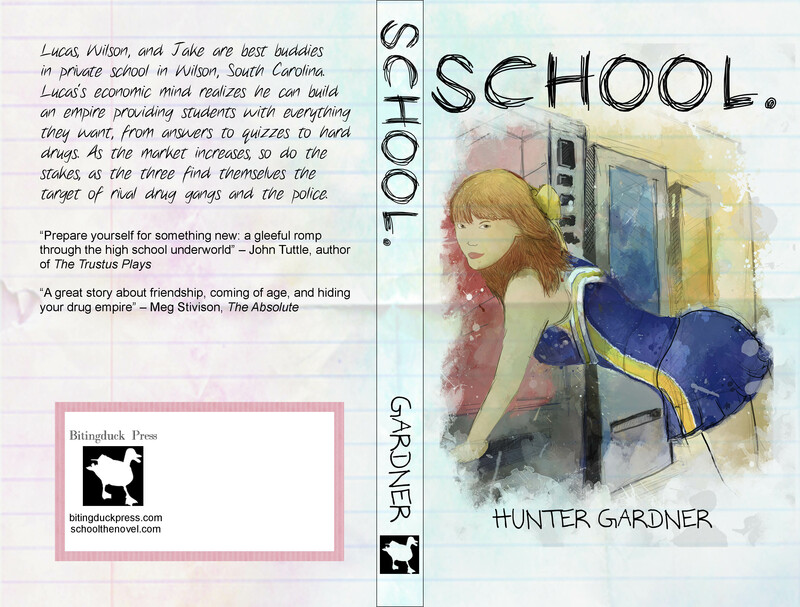 So proud of author Hunter Gardner.